Recently I made a fort for my little guy. 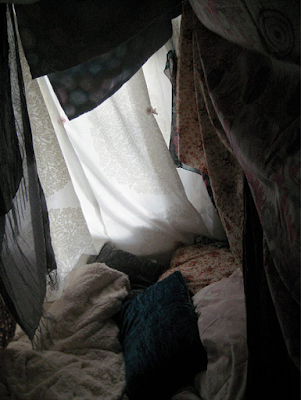 It was quite a pitiful little fort, made of couch cushions and my husband's old college comforter. 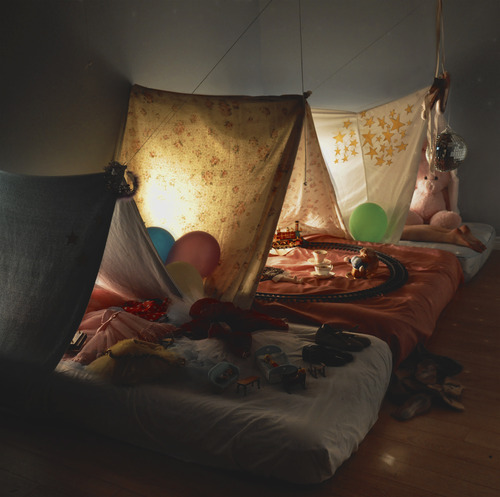 Not nearly as enchanting as I envisioned, but to my 18 month old it was the perfect little romping space. 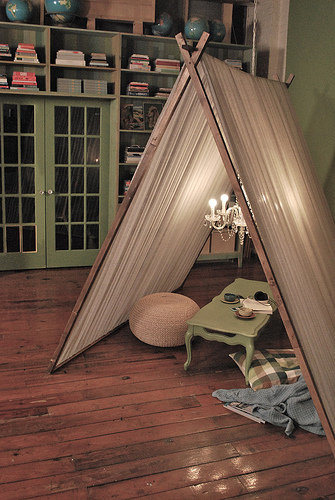 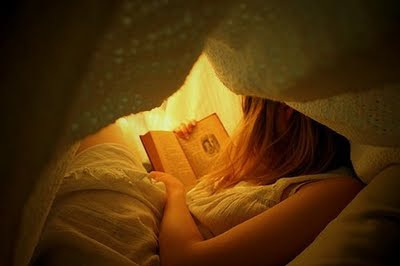 Remember what it was like to daydream as a little kid in your favorite nook or hiding spot? 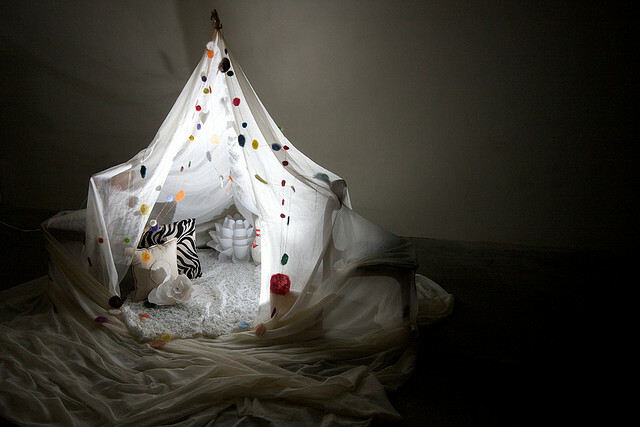 How the glow of a light could mesmerize you until you fell asleep? Here are some dreamy little get-a-ways I came across for you to enjoy. I came across this idea a few weeks ago and have filed it for future use. 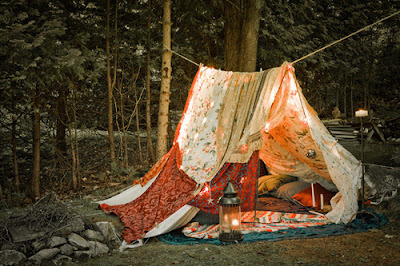 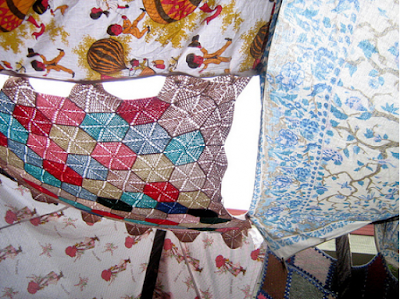 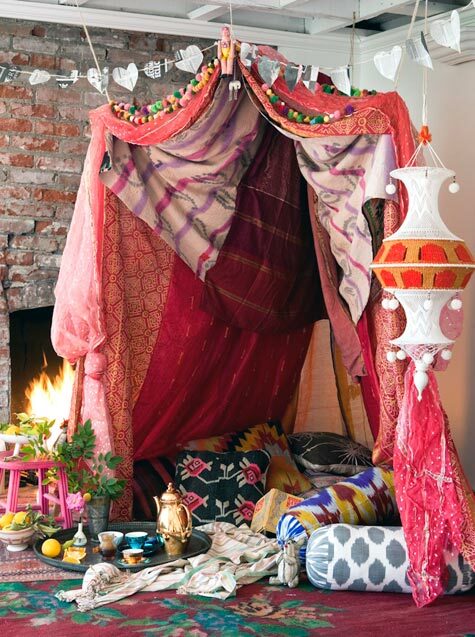 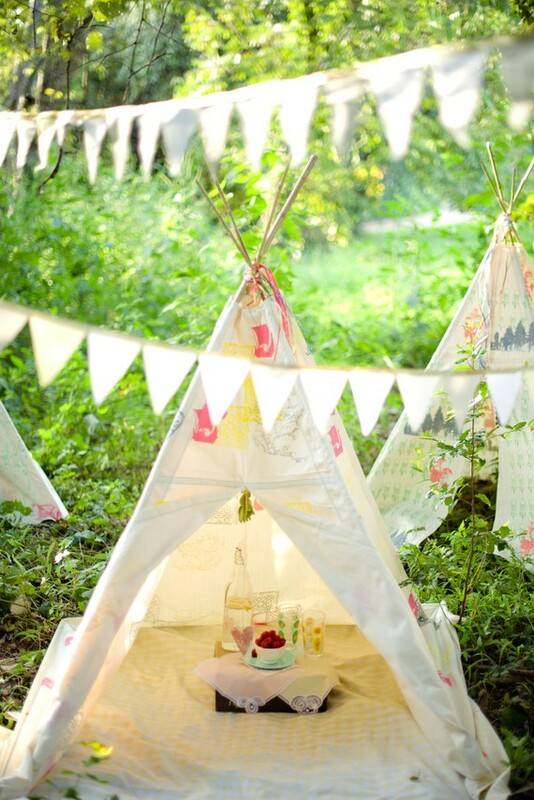 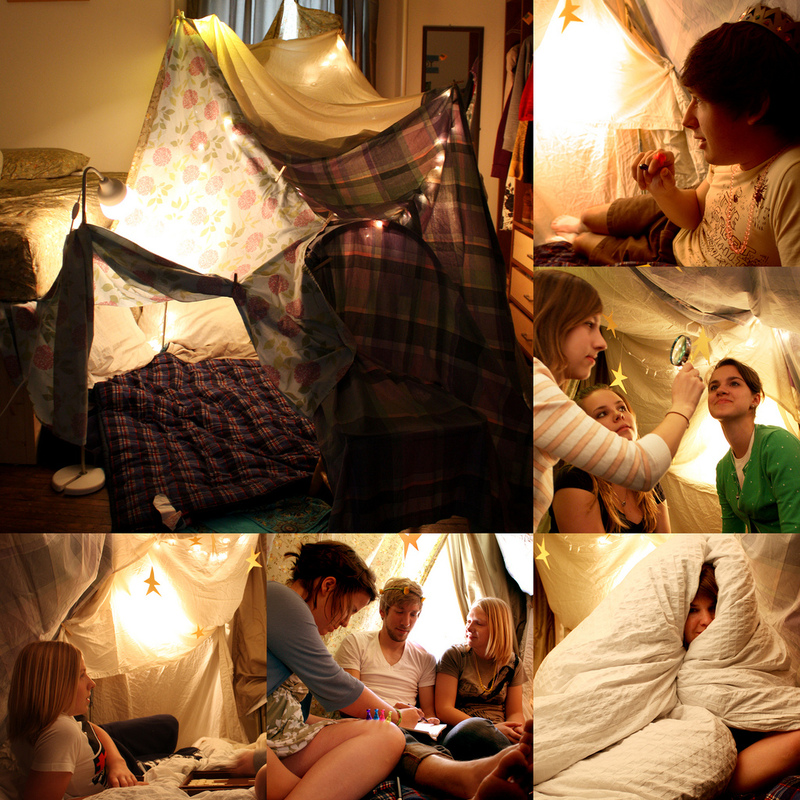 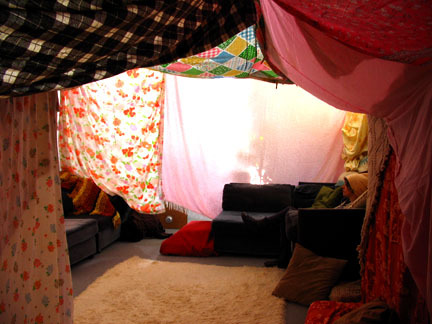 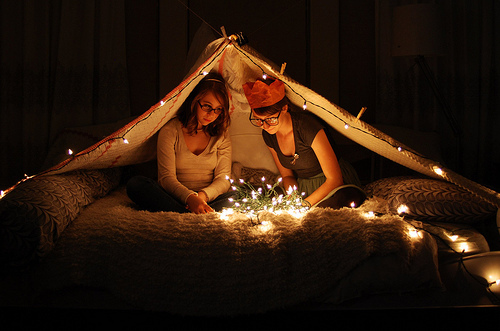 Any fort or tent is a great start though for lots of fun.